Our fearless Board of Supervisors is (weather permitting) plunging ahead this week with its unfunded chemical assault on the great outdoors. According to a press release from the county (see below), 9 parks will be hosed down with hundreds of gallons of a pesticide called Talstar P, part of the local Republican campaign to pretend to be doing something about Lyme disease. As reported previously, the local Republican party has for very strange reasons fallen under the spell of a fringe group that goes around spreading scientific misinformation and promoting quack treatments for this tick-borne infection. An essential part of their campaign is to grossly exaggerate the number of cases that occur and to spread hysteria and panic about it. Apparently when you spend that kind of dough without budgeting for it, you also don’t have to do even the most rudimentary cost-benefit analysis. Spraying chemicals to kill ticks sounds like battling Lyme disease “head-on” (in the inimitable words of Geary Higgins, R-Catoctin), doesn’t it? Why stop at 9 parks, though? Surely we also need to spray the entire, heavily used Appalachian Trail where it passes through Loudoun; by extrapolation that would run to at least $2 million. And then there’s the menacingly wooded edges of the W&OD Trail, plus all the trails through Banshee Reeks and other parks with wooded paths. And then there’s the grass and woods along the roadsides where schoolchildren wait for the bus. . . .
Did anyone try to even roughly estimate how many new cases of Lyme disease, out of the 250 or so that occur each year in Loudoun, would be prevented by spraying 9 of the county’s several dozen parks? And since (contrary to the lies and hysteria put out by the Board’s favorite quacks) Lyme disease is easily diagnosed and completely treated and cured by about 20 days’ worth of oral antibiotics (a cost of $4 at your local Target Pharmacy), you’d need to prevent a LOT of new cases to make that 20 grand pay off according to the usual highly responsible fiscal analyses the Board is always invoking with regard to programs it wants to eliminate. 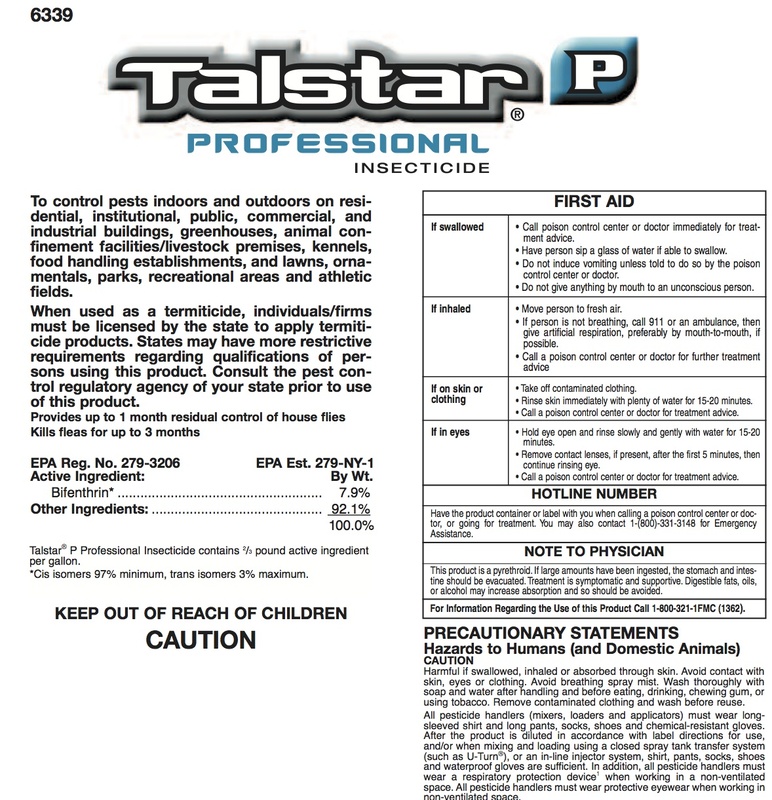 Then there’s the little fact that Talstar is “extremely toxic” to honey bees, according to the warning label, as well as being toxic to aquatic organisms and hundreds of beneficial insect species, not to mention domestic pets (cats in particular) and humans (who are advised to wear full protective clothing and respirators when applying it). But who cares about killing a few bees, since they merely benefit farmers, when your real constituency consists of hysterical flat-earth-believing creationists, commercial developers, big-box retailers, and assorted others whose dream for Loudoun is to pave it all over anyway. The product being used, Talstar, is a Bifenthrin-based product and will be delivered using a variety of spray methods depending on the park. The county’s contractor for the project, Blake Landscaping, will post signs at the parks prior to the spraying. Signs also will be posted afterwards stating that the area has just been sprayed. Staff from the Department of Parks, Recreation and Community Services will also be at the parks to help make sure that patrons do not enter the sprayed areas until the product has dried, as recommended. The spraying schedule is based upon good weather and may change as Talstar cannot be sprayed in the rain or if there is a chance of significant rain within 24 hours.